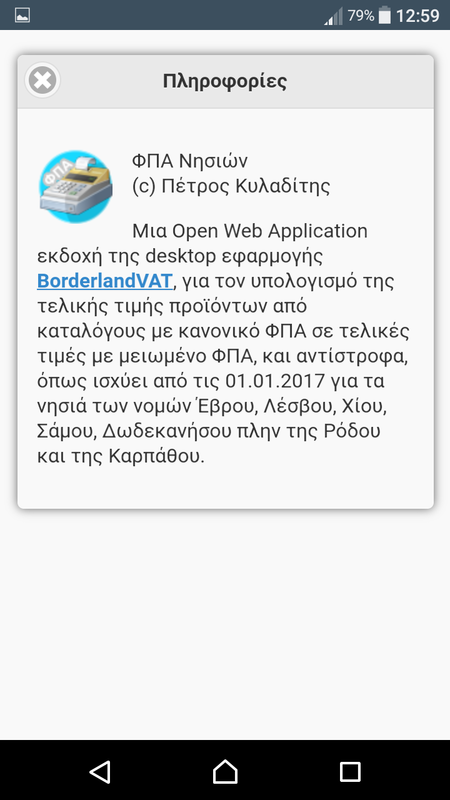 Mobile web app version, of the desktop BorderlandVAT, to calculate VAT differences on some Greek islands, updated to latest VAT changes and except of that goes full screen capable at mobile devices when you put it on home screen. 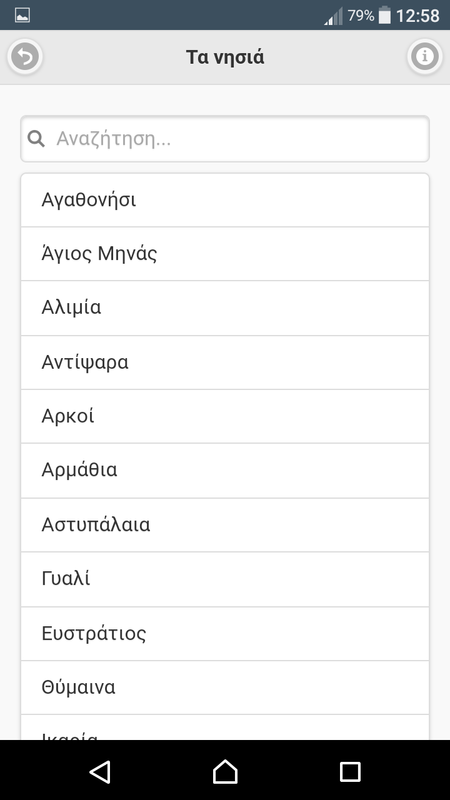 Also a list of these islands is accesible from the app’s interface. For more info, downloads & updates you can see at the Mobile BorderlandVAT project’s home page. Multipetros.WebServices is an open source library (FreeBSD Lisenced) library writted in C#, targeting the .NET Framework 3.5, with classes which interact, wrapp and invoke web services. 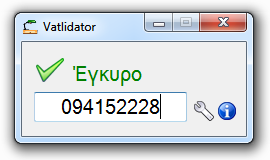 Automate the downloading process of RgWsBasStoixEpitRtUser object for a given Greek VATIN using the SOAP messages from the Greek GSIS Government web service. 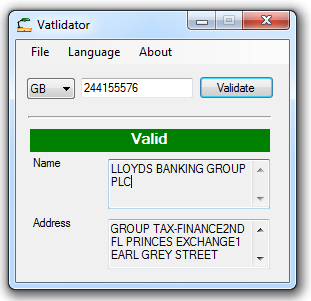 The downloaded object have fields with info about the given VATIN. AfmInfo also used as a wrapper that convert RgWsBasStoixEpitRtUser fields into Properties and provide better and safer access ways. Except the Properties, have Methods to get the original dowloaded object and a Dictionary with the Properties Names as dict. keys and their values as dict. values. Download exchange rates for supported currencies from Google’s web service. (NOT if exists and corresponds to a natural person or a legal entity). 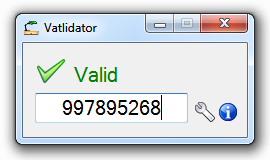 Also supports an automated multilingual interface, by using .lang files combining the use of Props.dll. 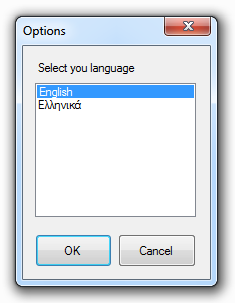 You can add more languages by generate .land files based on English.land, who founded in your program installation folder. If you see your language file at the next distribution and get your mention, just contact me. 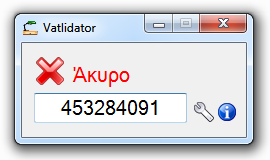 The application distributed under the terms of GNU General Public License in to two versions. 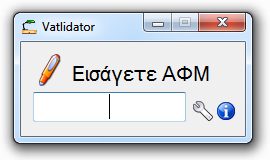 One complete with installer and one portable (all-in-exe) but stripped from multilingual support. You can download the version you prefer from my box.net folder. 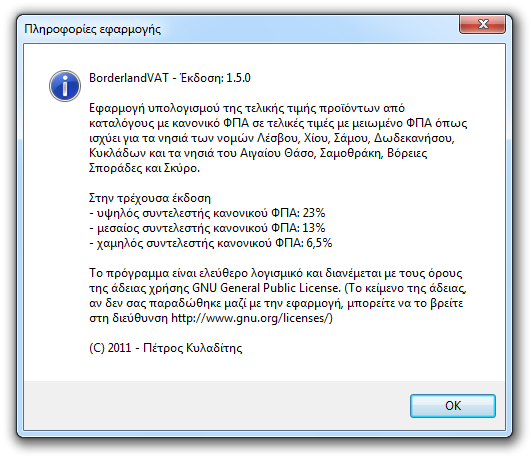 An updated version o BorderlandVAT. 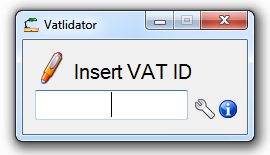 At this version added option for all VAT rates (higher: 23%, middle: 13%, lower 6.5%). You can download the new version from my box.net place. 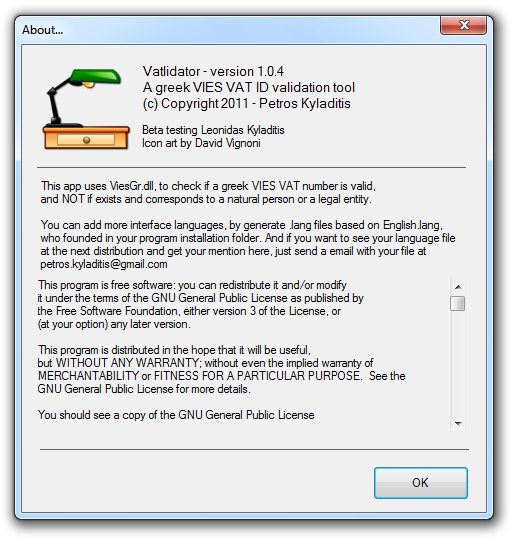 BorderlandVAT is an open source (GNU GPL Licensed) tiny tool for the .net platform, that calculates the final price of products for greek reduced VAT territories, from pricelists issued for the rest of the greek territory. For more info see at the first program’s announcement. 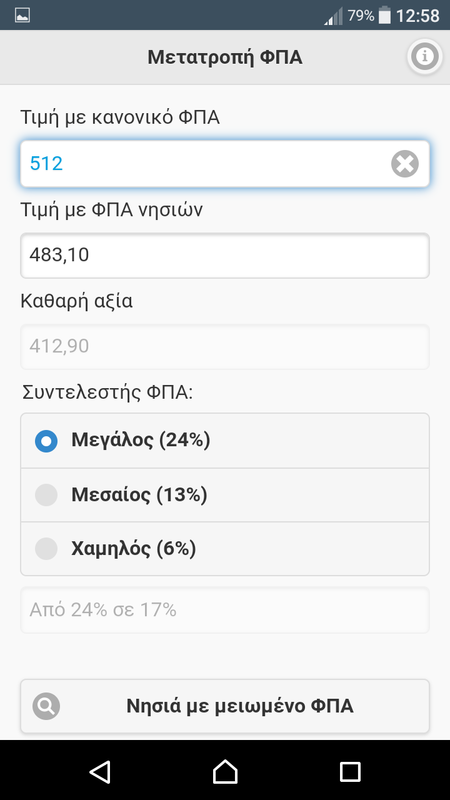 In Greece, for islands of the prefectures of Lesvos, Chios, Samos, Dodecanese, Cyclade and for the islands Thasos, Samothrace, Northern Sporades and Skyros, apply a reduced VAT of 30%, rounded to the nearest unit. A program that calculates the final price of products for these islands, from pricelists issued for the rest of the greek territory is if anything useful.